Cyber security expert Alan Crowetz explains why it is important to update your systems with the latest operating systems. 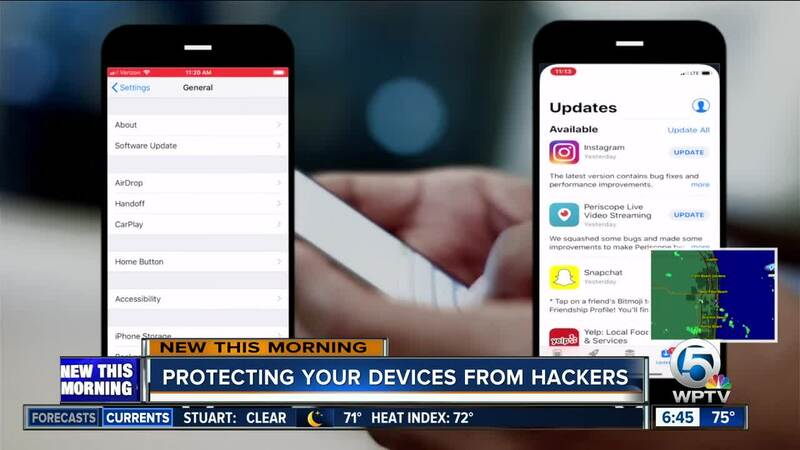 PALM BEACH COUNTY, Fla. — We have a few more ideas for you today as we talk about securing your identity and finances in a cyber-world filled with scammers and hackers. Look no farther than your smartphone for one great tip. That smartphone will prompt you when software or app updates are available. For that matter, so should your laptop or computer desktop operating system. But you must pay attention and use the free updates. Ignoring them can prove costly. Crowetz also recommends antiviral programs to keep the gremlins away. In short, like so much we have talked about this week, simple solutions to secure your life on the internet are easily within reach. Take advantage of those options before someone takes advantage of you.